Get an additional 20% OFF The Smashing September Bundle, which includes over 45 Fonts and 12 beautiful Graphics Packs at the TheHungryJPEG.com. 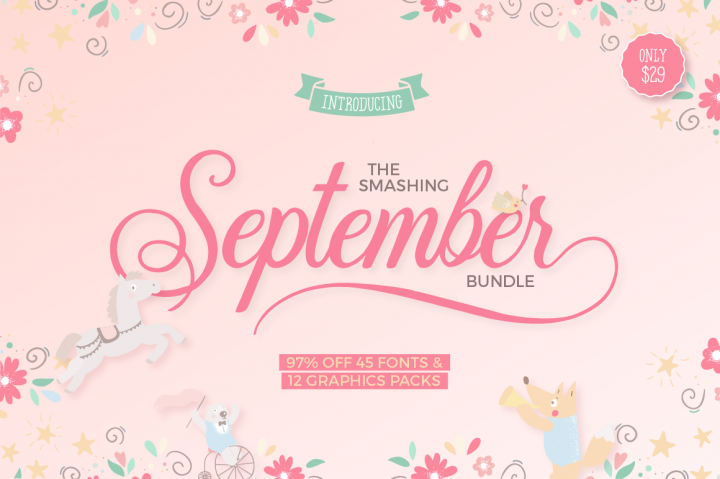 The Smashing September Bundle is finally here!! Packed full with 101 different font files from 45 font families and 12 beautiful graphics packs with over 1260 elements & patterns, all for the price of one!